Refreshing, balancing, calming and revitalising. Let your loved ones immerse into the richness tea. Tea Gift Voucher will be mailed to your recipient together with a beautiful card. Remember to write a gift message to your recipient. 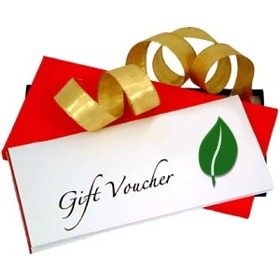 Tea Gift Voucher comes in $50 gift voucher or $100 gift voucher of worlds finest gourmet teas.